Years ago in Europe, Angels became associated with the different days of the week and some people believe they can give us spiritual guidance. Each day is ruled by a different planet, which is then linked to a different Angel. For example, Sunday is ruled by the Sun, Monday (aka Moonday) is ruled by the Moon, Saturday (Saturnday) is ruled by Saturn and so on. Each angel has a different quality, so discover them below and see how they can improve your day. To find out more about the individual planets, have a look at their meanings during a retrograde and how their qualities can affect us. Travelling should be stress-free and easy without issues or delays. It’s likely that you will experience a peaceful environment. If there isn’t one, step up and be the positive force. Today is an excellent day for positive communication between you and others. Prepare for your working week with a mature attitude. If you want to improve a skill, today is an excellent day to get a good start. If you are a parent, this day might be the easiest one to communicate with your child. Today is a day where you can come up with brilliant ideas. Log them down, expand on them and share with your colleagues for inspiration. Monday is associated with birth and rebirth, so it’s a good day to focus on starting a family or reinventing yourself. This is a great day to put the past behind you. So if you have any emotion baggage, let it go so you can focus on the future. This Angel is believed to be the Angel of Death and is often very misunderstood. This could see you get into arguments today. Do your best to bite your tongue. Linking with Mars brings passion, so it might be a good idea to think about how you put across your emotions to others. You might be tempted to get involved with meaningless gossip. Step away and don’t become part of the problem. Tuesday is an excellent day for self-reflection. Are you a positive person or are you bringing others down? Look at how you can change this. Today is an excellent day for communication, so it will be easy for you to put ideas across to others. If a friend is in need, your compassion will be appreciated. Put aside some time for this person and gain their trust. Wednesday is a good day to organise any future travel and you might even find a way to save time and money. You might experience a healing period today where anxiety starts to fade and you can have a more logical approach to issues. This could be a day where you receive a financial benefit such as a raise or a promotion. Thursday is an excellent day to organise your budget and set up goals for the future, such as buying a new home. If you believe you are lucky with money, you might decide to give some to charity. Today is a great day to buy someone a small yet thoughtful gift. Friday is an excellent day for communicating love towards someone close to you, regardless of whether it’s romantic or platonic. If your relationship is on the rocks, today will be the day where you can sit down together and discuss a plan to move forward. Love will be clearer today so if you have been confused about your romantic feelings, today you will know where you stand. Today is a brilliant day for single people who might meet someone that could be a potential partner. This day is a good day to rest and take a step back to watch events unfold. You might go through a time of reflection today and could even accept something negative that is currently happening. Today is a great time to be by yourself and recharge so that later in the week, you can feel refreshed. Accept your faults that you cannot change, so that you can become a happier person. Do you feel as if someone or something is watching over you to protect you? 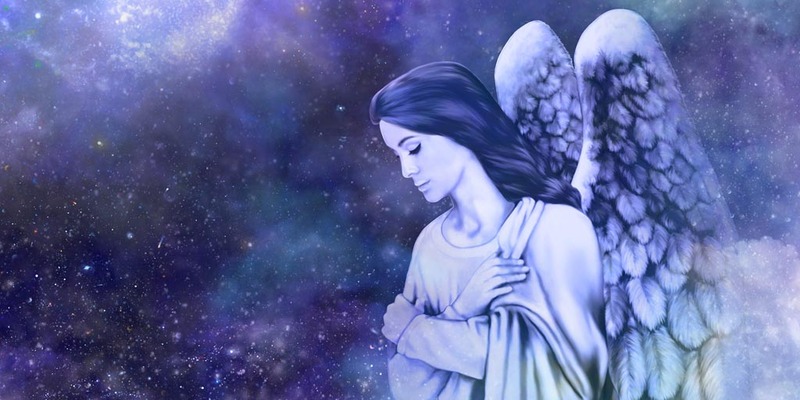 To get an amazing, in-depth reading to help reveal your angel or spirit guide, choose one of our amazing psychics who can give you guidance. Which Angel is your favourite? Let us know and comment below!